At Holst Creative Media Events, Our Customer's needs are of the Utmost Importance to Us! 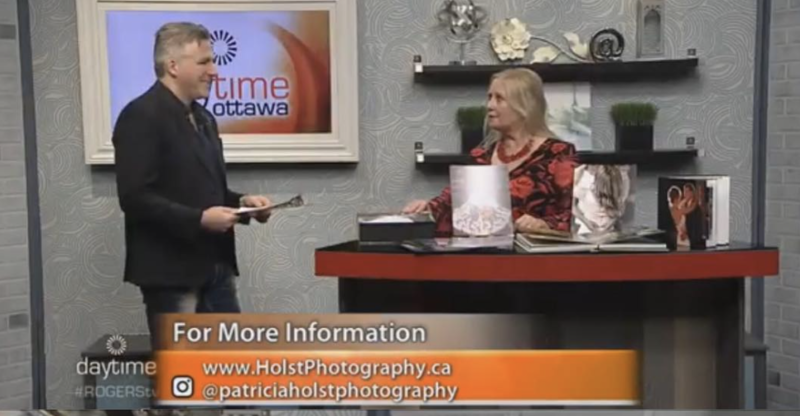 We are Patricia & Kevin Holst, owners of Holst Photography & Holst Creative Media Events & the Ottawa Valley Wedding Show! 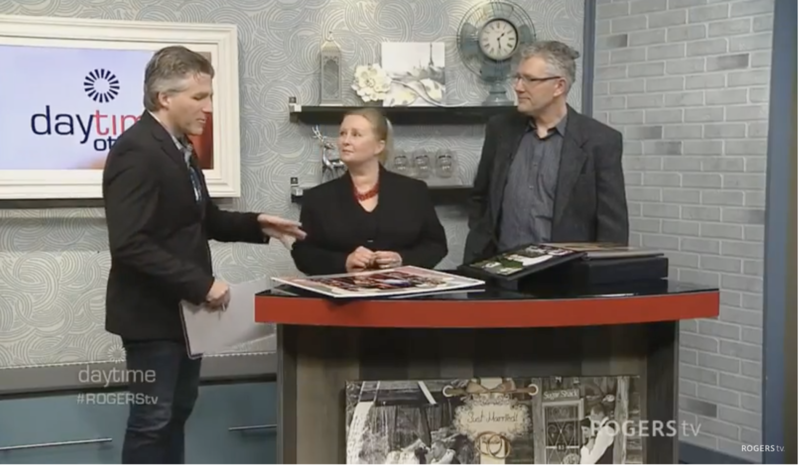 We have been repeat guests on Rogers TV, Daytime Ottawa Show, March 2019, April 2017, discussing our expertise in photography, video & event planning! We're Excited Celebrating 25 Years in Business! To help us Celebrate we're giving our Customers $500 OFF Discount on Holst Inclusive Wedding Packages! We offer a Unique Boutique Service! Wedding Packages, FREE Consultations for Wedding Photography, two lead Photographers, Videographer, Day Of Complimentary Day Of Wedding Coordinator with timeline, or for Any Special Occasion. ​We've made it easy for you to view our Wedding Packages with $500 Discount & suggested timeline, all on this page, just Scroll down the page halfway or use the pulldown menu up top. Call us, video chat or lets meet for coffee and talk about your vision! Congratulations! Please give us your details, Wedding Date, Names, Email, Ceremony, Venue! Free Consultations! Ontario, Quebec & Destination Weddings! ​We advise booking your Wedding Photographer based on QUALITY of Wedding Photography, Equipment, Creativity, Experience and if they Travel! Why? Your Wedding Day's Special Moments are Priceless! We are a travelling team! We work in Ottawa, Gatineau, Ottawa Valley, Petawawa, Pembroke, Renfrew, Arnprior, Perth, Smiths Falls, Belleville, Parry Sound Ontario & Destination Weddings in Jamaica & Mexico! Important Tips to look for when Booking Your Photographer! 1. 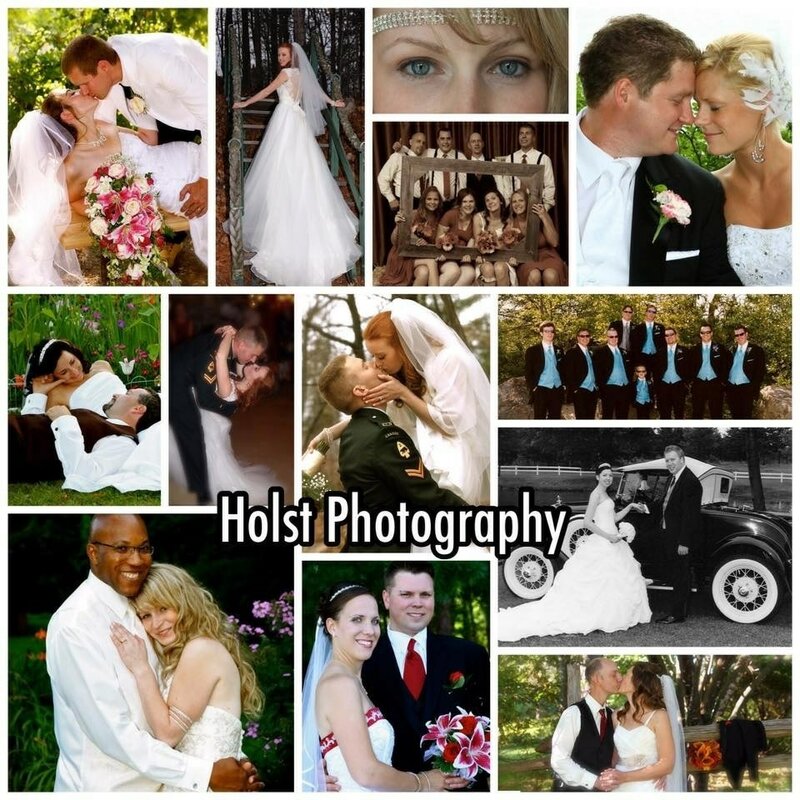 Holst Photography is a member of PWPC (Professional Wedding Photographers of Canada, insured & licensed! 2. Holst provides two Lead Photographers, not a second shooter. 3. Holst uses PRO Equipment, Full Frame CMOS Sensor Camera Bodies, Lenses, we are trained in OCF (off camera flash), on camera Flash & Strobe Lighting? 4. Carefully view an album of an entire wedding sequence! Or view a video on YouTube. 5. DO you have the same artistic vision, feel comfortable, like the photographers personality? 6. FREE Consultations are provided with your input, Before & After your Wedding Day! 7. Holst Photography provides an online Gallery & Store, you can order prints with direct door delivery & have the option to download images? 8. At Holst Photography & Creative Media Events, we would like you to relax on your Wedding Day and leave the planning to us! We are unique, & provide two Photographic Lead Artists & Complimentary 'Day Of' Coordinator with timeline, for the best Wedding Coverage! ​Up to $500 Discount OFF Holst Creative Media Events Inclusive Wedding Packages, Two Photographers, Wedding Coordinator, Video, PhotoBooth, Canvas, Heirloom, Online Gallery! The Details To Booking us: a contract is signed between Studio and Bridal Couple. We require 50% non-refundable, deposit, (or 2-25% non refundable deposits 30 days apart), to Guarantee Your Wedding Photography & Planning Coordination Package. If you cancel booked Wedding Services with Holst, the 50% deposit paid is non-refundable. If the studio cancels due to an emergency, your deposit is 100% refundable. Planning: Month Of Wedding Planner & Day Of Coordinator is now Inclusive for all Holst Wedding Packages! Hours of Coverage: suggested timelines are generously estimated, (and could take less time), to capture the detailed coverage included in your Wedding Photography Package outlined in your contract. Extended Hourly Coverage is Available: if you need more coverage on the day of your Wedding, Event, Portrait Session, additional time is available for $200 per hour. Meals: to be provided to Photographers the day of your Wedding or Special Event. Extra Fees the Day of The Wedding: please note that parking fees, venue fees, ceremony fees, reception fees, meal fees, hotel fees, airfare, are the responsibility of the wedding couple and are not to be paid by Holst Photography. Engagement Session: (if included in your package), the purpose: to get to know each other, feel comfortable in front of the camera and to build a bond of trust between us for your Wedding Day. Please note: the engagement session has no monetary value and can't be discounted or changed for another product in your package. Includes One Lead Photographic Artist, Day Of Coordinator & timeline, 4 Hours Fine Art & Romantic, Authentic, Journalistic Wedding Coverage, Edited Images uploaded in online Gallery. Quality prints & wall art products can be purchased from online gallery store with direct door delivery! Entire Wedding Gallery Download in High Resolution of unwatermarked photos with print release! Additional coverage for $200 hour. Suggested Timeline for 4 Hours Wedding Coverage: starts 30 mins before Ceremony, Groom with Parents & Groomsmen at Ceremony site, Bride arriving/getting out of car, Bride with Parents & Bridesmaids, Ceremony, candid shots of Receiving Line, Portraits posed of Families, posed & candid Wedding Party, Wedding Couple, Pre-Dinner Coverage, (time permitting) of Decor, Wedding Couple Grand Entrance & Immediate Posed Cake Cutting & Posed First Dance, (does not include reception coverage). Includes Two Lead Photographic Artist's, 6 Hours Fine Art & Romantic, Authentic, Journalistic Wedding Coverage, Day Of Coordinator & timeline, Edited Images viewed in online Gallery, watermarked images shared & downloaded in web resolution. Quality prints & wall art products can be purchased from online gallery store with direct door delivery! Entire Wedding Gallery Download in High Resolution of unwatermarked photos with print release! Additional Coverage available for $200 per hour. Suggested Timeline for 6 Hours Wedding Coverage: starts 2 hrs before Ceremony, Bride getting ready, make-up and hair done, bridal decor, Posed and Candid Glamour Portraits of Bride, Bride with Parents and Bridesmaids, coverage of Groom with Parents & Groomsmen 30 mins before Ceremony at site, Bride arriving/getting out of car, Ceremony, candid shots of Receiving line, Posed Portraits of Families, Posed & Fun Portraits of Wedding Party, Romantic Journalistic Style Portraits of Wedding Couple, Decor photos, Wedding Couple Grand Entrance, Reception Coverage of Dinner, Guests seated at tables. Coverage of Speeches, Cake Cutting, First Dance, (time permitting). Includes Two Lead Photographic Artist's, 8 Hours Fine Art & Romantic, Authentic, Journalistic Wedding Coverage, Day Of Coordinator & timeline, 45 minute Engagement Session & 3 Edited Images, 1-16x20 Canvas Wrap Wall Art ~ Edited Images viewed in online Gallery, watermarked images shared & downloaded in web resolution. Quality prints & wall art products can be purchased from online gallery store with direct door delivery! Entire Wedding Gallery Download in High Resolution of unwatermarked photos with print release! Additional coverage available for $200 per hour. Suggested Timeline for 8 Hours Wedding Coverage: starts 2 hours before Ceremony, Bride getting ready, make-up & hair done, bridal decor, Posed & Candid Glamour Portraits of Bride, Bride with Parents & Bridesmaids, Coverage of Groom with Parents & Groomsmen 30 mins before Ceremony, Bride arriving/getting out of car, Ceremony, Candid shots of receiving line, Posed Portraits of Families, Posed & Fun Portraits of Wedding Party, Fine Art Romantic & Journalistic Style Portraits of Wedding Couple, Wedding Couple Grand Entrance, Reception Coverage, Decor, Dinner, Guests seated at tables, Coverage of Speeches, Cake Cutting, First Dance, (time permitting). Includes Two Lead Photographic Artist's, Video, 2 Hour PhotoBooth, 10 Hours Fine Art & Romantic, Authentic, Journalistic Wedding Coverage, Day Of Coordinator & timeline, 1 Hour Engagement Session, 6 Edited Images, Wedding Highlights Video (Animated Themed Slide Show with Stills), 2 Hour Photobooth Studio (within the 10 hrs coverage), Classic Studio Open Air Style with props, backdrop, strobe lights & stands provided, (or you can use your own themed backdrop), guest photos taken by fun & engaging pro photographer, 1-16x20 Canvas Wrap Wall Art, 1-8x8 Premium Hand Crafted Flush Mount Heirloom Leather/Leatherette/Linen Album with 16 lay flat rigid matte pages (8 spreads, 24 images). Edited Images viewed in online Gallery, watermarked images shared & downloaded in web resolution. Quality prints & wall art products can be purchased from online gallery store with direct door delivery! Entire Wedding Gallery Download in High Resolution of unwatermarked photos with print release! Additional coverage available for $200 per hour. Suggested Timeline for 10 Hours Wedding Coverage: starts 2 hours before Ceremony, Bride getting ready, make-up & hair done, bridal decor, Posed & Candid Glamour Portraits of Bride, Bride with Parents & Bridesmaids, Coverage of Groom with Parents & Groomsmen 30 mins before Ceremony, Bride arriving/getting out of car, Ceremony, Candid shots of receiving line, Posed Portraits of Families, Posed & Fun Portraits of Wedding Party, Fine Art Romantic & Journalistic Style Portraits of Wedding Couple, Wedding Couple Grand Entrance, Reception Coverage, Decor, Dinner, Guests seated at tables, Coverage of Speeches, Cake Cutting, First Dance, 2 Hour Photobooth, Bouquet & Garter Toss (time permitting). Includes Two Lead Photographic Artist's, Video, 2 Hour PhotoBooth, 11 Hours Fine Art & Romantic, Authentic, Journalistic Wedding Coverage, Day Of Coordinator & timeline, 1 Hour Engagement Session & 12 Edited Images, Wedding Highlights Video (Animated Themed Mixed Media Production, Ceremony Video Clips & Stills). 2 Hour Photobooth, (within the 11 hours coverage), Classic Studio Open Air style, with props, 4x6 prints, strobe lights & stands, backdrop provided, (or you can use your own themed backdrop), guests photos taken by fun & engaging photographer! 1-20x24 Canvas Wrap Wall Art, 1-10x10 Premium Hand Crafted Flush Mount Heirloom Leather/Leatherette/Linen Album with 20 lay flat rigid matte pages (10 spreads, 30 images), matching Premium Heirloom Leather Storage Box. Edited Images viewed in online Gallery, watermarked images shared & downloaded in web resolution. Quality prints & wall art products can be purchased from online gallery store with direct door delivery! Entire Wedding Gallery download in High Resolution of unwatermarked photos with print release! Additional Coverage available for $200 per hour. Suggested Timeline for 11 Hours Wedding Coverage: starts 2.5 hours before Ceremony, Bride getting ready, make-up & hair done, bridal decor, Posed & Candid Glamour Portraits of Bride, Bride with Parents & Bridesmaids, Coverage of Groom with Parents & Groomsmen 30 mins before Ceremony at site, Bride arriving/getting out of car, Ceremony, Posed Portraits of Families, Posed & Fun Portraits of Wedding Party, Posed & Romantic Journalistic Style Portraits of Wedding Couple, Wedding Couple Grand Entrance, Reception Coverage, Decor, Dinner, Guests seated at tables, Coverage of Speeches, Cake Cutting, First Dance, Father & Bride, Mother & Groom, 2 Hour Photobooth, Bouquet & Garter Toss, (time permitting). Includes Two Lead Photographic Artist's, Video, 3 Hour PhotoBooth, 12 Hours Fine Art & Romantic, Authentic, Journalistic Wedding Coverage, Day Of Coordinator & timeline, 1 Hour Engagement Session & High Resolution Images, Wedding Highlights Video, (Animated Themed Mixed Media Production, Ceremony Video Clips & Stills), Free Ceremony Video (1 Camera front & back title edits), 3 Hour Photobooth (within the 12 hours coverage), in Classic Studio Open Air style with props, 4x6 prints, strobe lights & stands, backdrop provided, (or you can use your own themed backdrop), guests photos are taken by fun & engaging photographer! 1-24x36 Canvas Wrap Wall Art & 1-12x12 (closed size) Custom Designed Premium Hand Crafted Flush Mount Heirloom Leather/Leatherette/Linen Wedding Album with 20 lay flat rigid matte pages, or free upgrade to metallic pages, (10 spreads, 30 images) & Premium Matching 12x12 Leather Heirloom Box, 2-6x6 Matching Cloned Premium Heirloom Parent Albums in leather or leatherette, with 20 matte pages, 2 Premium Matching Leather Heirloom Boxes, (additional pages available for purchase). $200 Print Credit with Holst Photography! ~ Edited Wedding Images in Online Gallery, watermarked images shared & downloaded in web resolution. Quality prints & wall art products can be purchased from online gallery store with direct door delivery! Entire Wedding Gallery Download in High Resolution of unwatermarked photos with print release! Additional Coverage Available for $200 per hour. Suggested Timeline for 12 Hours of Wedding Coverage: starts 3 hours before Ceremony, Bride getting ready, make-up & hair done, bridal decor, Posed & Candid Glamour Portraits of Bride, Bride with Parents & Bridesmaids, Coverage of Groom with Parents & Groomsmen 30 mins before Ceremony at site, Bride arriving/getting out of car, Ceremony, Posed Portraits of Families, Posed & Fun Portraits of Wedding Party, Romantic Journalistic style Portraits of Wedding Couple, Wedding Couple Grand Entrance, Reception Coverage, Decor, Dinner, Guests seated, Speeches, Cake Cutting, First Dance, Bride with Dad, Groom with Mom, 3 Hour Photobooth, Bouquet & Garter Toss. We're flexible to Exchange a Sess﻿ion ﻿for Another in our Photography Packages. Or we can Custom Design a Wedding Photography Package for you at Home or Abroad at your Destination Wedding! HOLST STYLIZED PHOTOBOOTH is a Professional Studio Vintage Set up with Pro Lighting, includes two strobe lights, umbrellas, on camera flash lighting, Backdrop & Props, for the highest Quality Production in Portraits, for your Event or Weddings, for Classic or Fun Portraits! We provide décor, White Columns with Florals, Candelabra, 3 choices of backdrops provided in white, black or hand painted Garden. Access to additional Décor from two Professional Decorating Companies, Margaret Phillips of Creative Perspectives in the Ottawa Valley & Amal Harik of AHED Event Design in Ottawa. Stylized Open Air PhotoBooth, Classic or Fun Portraits! Includes Creative Session taken by Professional Photographers! Huge Prop Selection! No printing on site. Quality High Res Edited Images in online Gallery, guests View Photos & Share them watermarked in web res on social media with Free High Res unwatermarked Download with print release, option to Order Prints from the Gallery Store with Direct Door Delivery! Stylized Open Air PhotoBooth, Classic or Fun Portraits! Includes Creative Session taken by Professional Photographers! Huge Prop Selection! Quality unedited 4x6 photos printed on site, your guest will love them as gifts! Quality High Res Edited Images in online Gallery, guests View Photos & Share them watermarked in web res on social media with Free High Res unwatermarked Download with print release, option to Order Prints from the Gallery Store with Direct Door Delivery! Look around our website and if you have any comments or questions we'd love to hear from you! Please use our Contact Us Form up above located on the scroll down menu! Please check back later for new updates or Promotions offered on our website. There's always more to come at Holst Creative Media Events! Fine Art Gallery Wrapped Canvas Wall Art! Invitations, Ceremony Programs, Thank-You Cards, Save-the-Date, Engagement Cards, Business Cards, Photo Memento Cards, Brochures, Banners, Lawn Signs, Car Door Magnets, Mugs, Labels, T-Shirts, Hats. Please ask us for a Quote! LUXURY HEIRLOOM FLUSHMOUNT ALBUMS come in a variety of sizes, in leather, leatherette/linen or photo cover & include a Premium Matching Heirloom Leather Box. Shipping charges are extra and the option of direct door delivery is provided!